I would LOVE an entire wall of these signs. 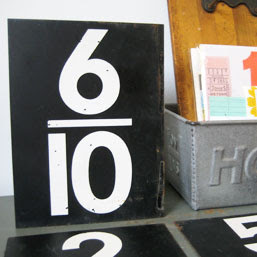 Vintage double-sided metal price fraction signs. We love the odd use of fractions and bold white-on-black graphics. 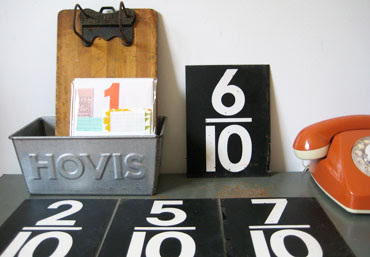 These slightly smaller-scale signs are in moderately worn vintage condition and measure 6" x 8". hmmm. i wonder why they didn't reduce the fraction 6/10.....wouldn't that be so lovely? I wondered the same thing at first, then realized these are from gas stations. They're talking about pennies/dimes. these are just so cool. great find.